Knowing how to drive a manual transmission (stick shift) takes the driving experience to a new level. Feel the connection between you, your car, and the road. Wilmington Driving School offers professional instruction for your stick-shift driving lessons using well-maintained, manual-transmission vehicles. Learning to drive a manual transmission (stick shift) vehicle can be a daunting task to take on without the assistance of a trained professional. Some drivers go through a good portion of their adult life before deciding to give it a try, and of course many others never try at all. 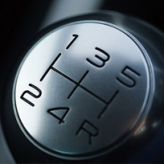 People have many reasons for wanting to learn but the most common is because of the desire to purchase a consumer vehicle that is manual transmission. Having control of the gearbox gives the driver an exciting and exhilarating experience, especially in many of the sport cars available today. Also some drivers need to learn to drive a manual transmission vehicle because of their job. Whatever the reason, with a little assistance and a bit of practice you could be on your way to driving a “stick” a lot sooner than you might think. As one of the few driving schools in the greater Wilmington area to offer this service, we have years of experience and a proven method of teaching that will get you on the road in no time. Give us a call today to get started!